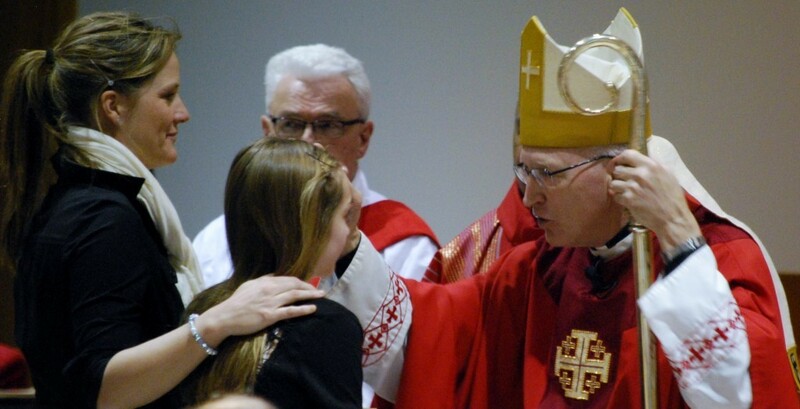 At St. James we offer Confirmation preparation for each teen who is ready to confirm their faith in the Holy Spirit. The preparation begins when the students are in the Encounter Program. The process involves regular attendance of Mass & ROCK or Encounter, a service project, and retreat. Registration and tuition payment is now available online!